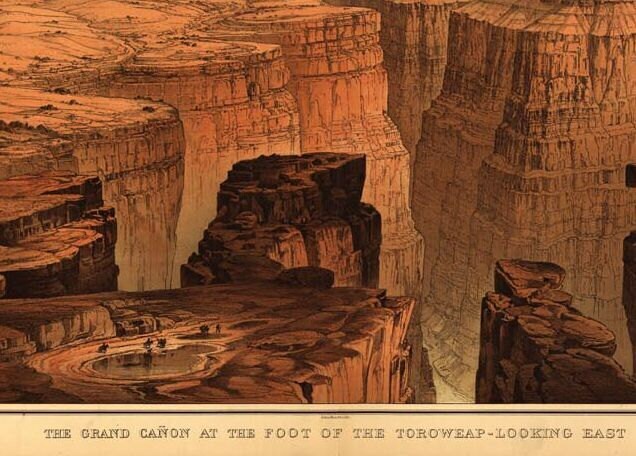 "The Grand Cañon at the foot of the Toroweap-Looking East". 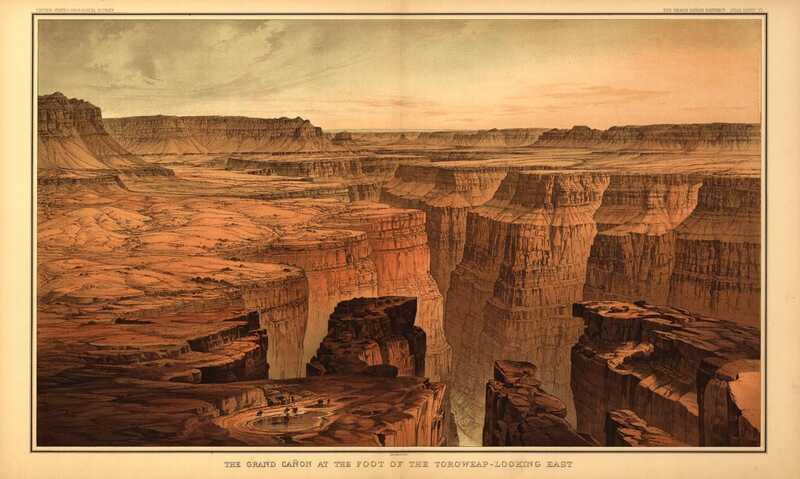 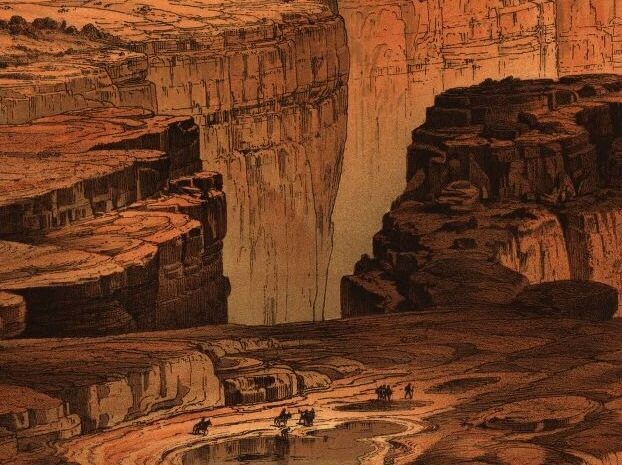 Stunning drawing from a very nice set of geologic (USGS) maps and drawings about the Grand Canyon (if interested in the set, please contact me). 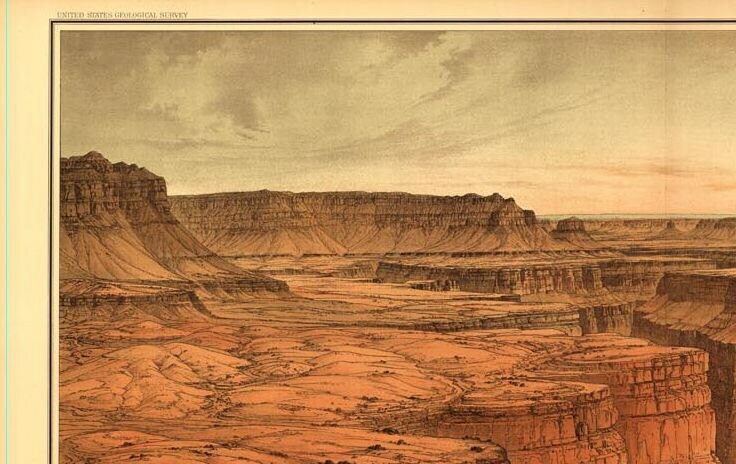 The original size was larger, but I have sized it at ~20" x 12". 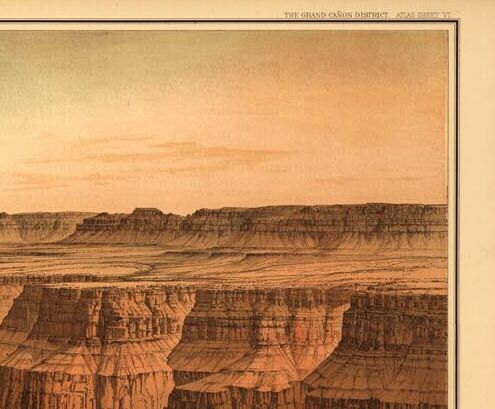 This is a reproduction print.